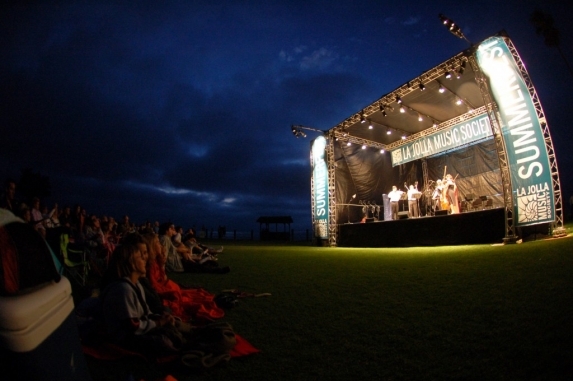 Free Concert in La Jolla Cove to kick-off La Jolla Summerfest! 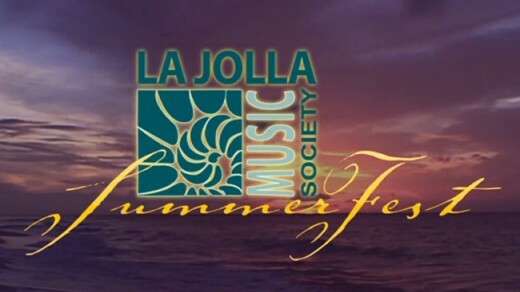 The 26th annual La Jolla Summerfest kicks off this Tuesday July 31, 2012 at 7:30 PM with a free public concert in Scripps Park at La Jolla Cove. 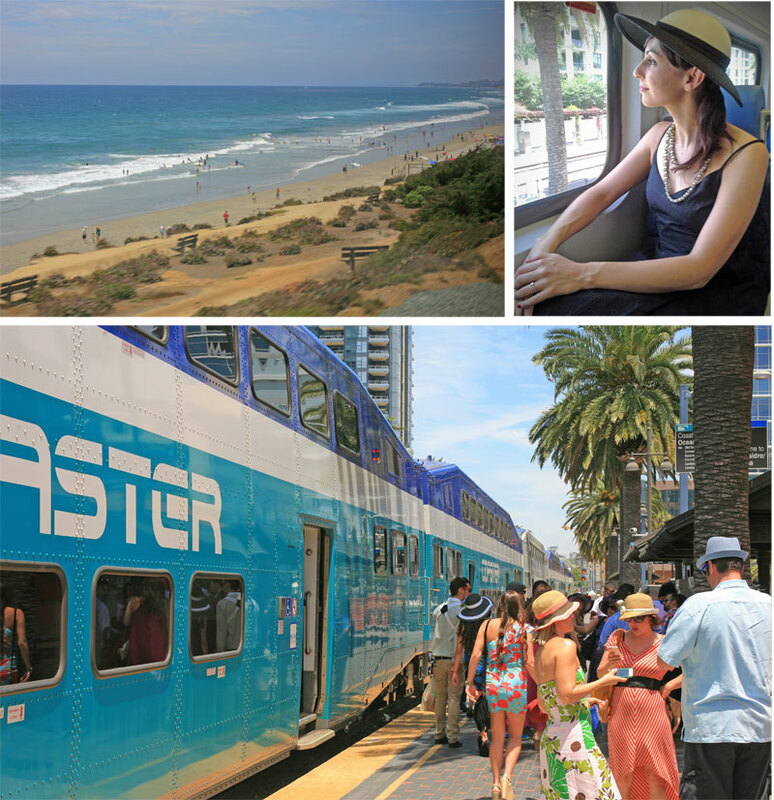 The nationally recognized chamber music festival features over 70 world-class artists and ensembles performing from July 31 – August 24, 2012 in various locations throughout La Jolla. Two performances of note this season will be Tan Dun’s Water Passion at 7:30 PM on August 4th in the La Jolla Playhouse Mandell Weiss Theatre and an evening with jazz saxophonist Branford Marsalis at 7:30 PM on August 8 at the MCASD Sherwood Auditorium. The Water Passion is drawn largely from Gospel of St. Matthew and explores a remarkably wide range of vocal styles, from the overtone singing of Mongolia to the unique colors of Peking Opera. Branford Marsalis has a mixed program, including songs of Samuel Barber and a trio by Paul Hindemith as well as a selection of jazz works. 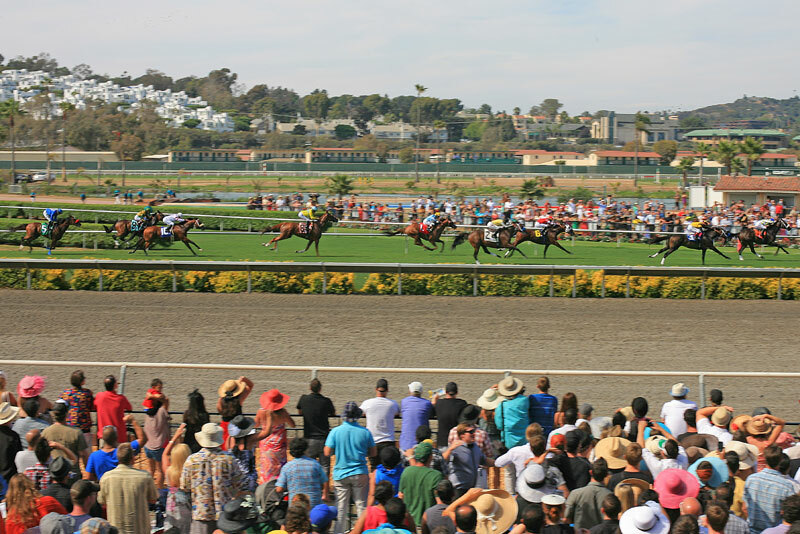 Summer weather, ocean views, live music concerts….what more could you want? 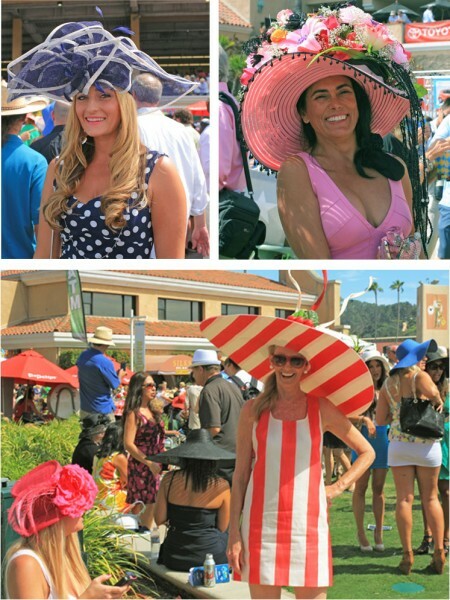 Two tickets to enjoy this trifecta of San Diego summer? You got it! We want to send you to Humphreys Concert by the Bay to enjoy your own star-studded evening. We are lucky San Diego’s outdoor summer concerts don’t have to wait until June 21st to begin. With near perfect weather almost all year round many summer concert series are already in full swing with picturesque backdrops deserving of their own spotlight. Set amid palm trees and under the starry San Diego sky, there is nothing else quite like Humphreys Concerts by the Bay, located on Shelter Island with views of the Marina and the Point Loma hillside in the distance. 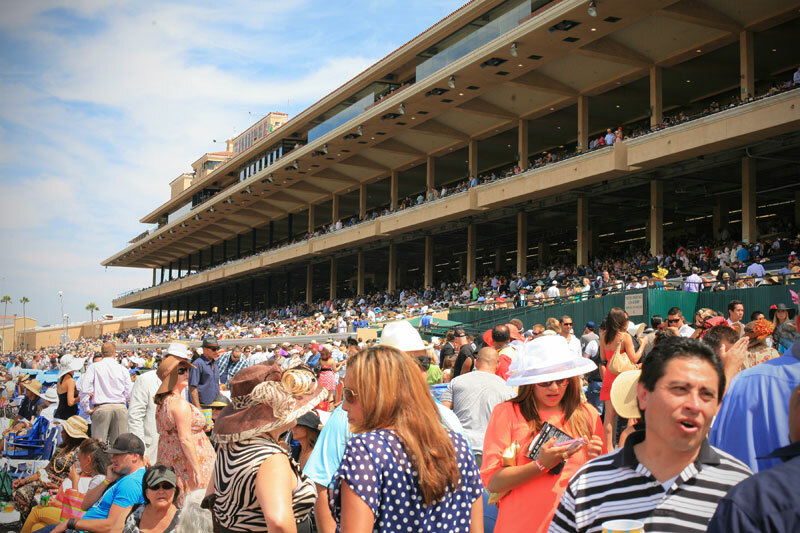 Playing everything from rock and jazz to comedy, blues and international music, concerts run from May to October, which is just how long summer lasts for us San Diegans. Comment below to win 2 tickets to see Chris Botti on June 1, 2012. 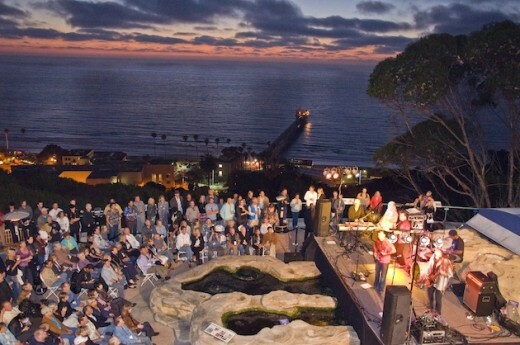 Enjoy a rockin’ sunset this summer at the seventh annual Green Flash Concert Series at Birch Aquarium at Scripps Institution of Oceanography, UC San Diego. The concert series, which kicks off May 16, combines live music with panoramic ocean views on the aquarium’s stunning outdoor Tide-Pool Plaza. 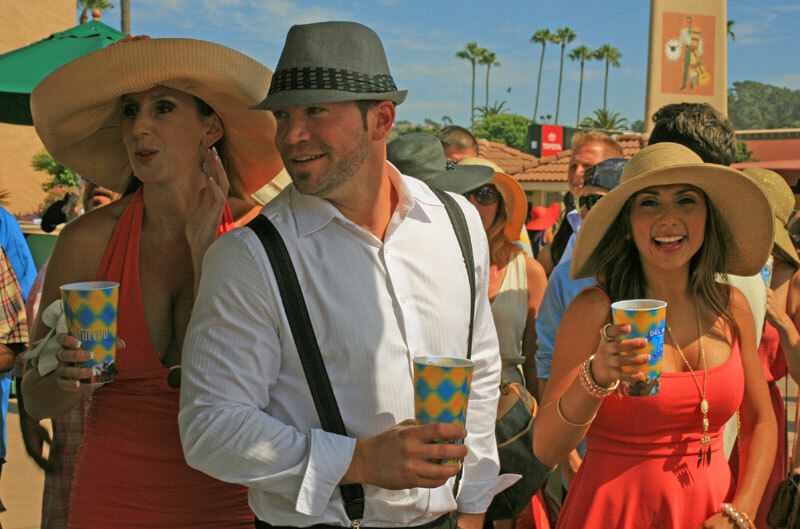 Savory happy-hour appetizers, craft beers and wines are available for purchase. Keep an eye out for a real “green flash,” a rare optical phenomenon caused by refraction of light as the sun sets on the horizon. 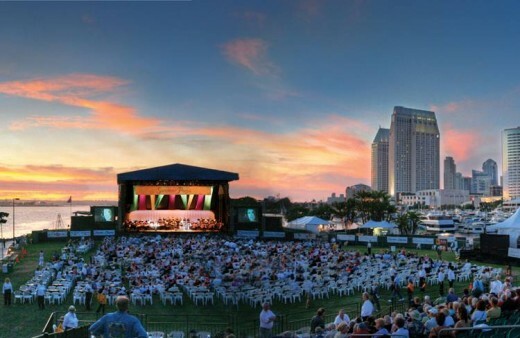 Join the San Diego Symphony as they perform with some of today’s hottest pop acts in the annual Summer Pops concert series along the Embarcadero Marina Park South. The series starts off with a bang on June 29, 2012 including patriotic marches, American Idol stars and a spectacular firework display celebrating Independence Day weekend. The fun continues until Labor Day with stars like Roberta Flack, Burt Bacharach, and a live music screening of Pirates of the Caribbean: The Curse of the Black Pearl.